So, I continue, FTP is..err.. Please read here , I used FileZilla – an open source software distributed free of charge under the terms of the GNU General Public License. This is very important tool…I repeat, very important tool. 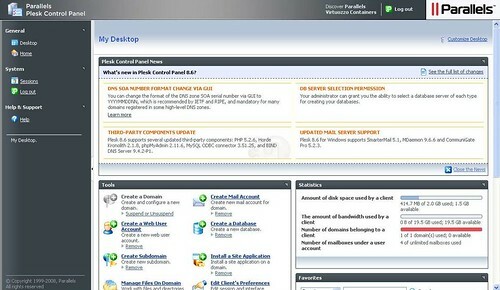 Open Site Manager tab (ctrl+s), click at new site button, insert your host number (example : 000.00.00.99) your user-name and password, same as given by your Web Hosting Service provider, then connect. There you will see the list of your files / filename at hosting, open filename ‘httpdocs’, then put your website that you design before in this folder. On the the web browser, Mozilla or IE, type your website name (example : raz-veinz.com) at navigation toolbar, then, enter, tadaa… , if nothing coming out, try refresh. If you design using MS Office Publisher, maybe there is something missing, because, this is not a professional tool to develop website, only basic thing… I prefer to use Dreamweaver to develop such a good website (or maybe professional?) there is everything that you need, but 1st you must learn the very basic thing of HTML and CSS, I recommend this website, almost there. What important thing is ‘EFFORT’ to learns. If I have some diligence to write the next topic of this ‘I Build’ title, I will write about my experience using Dreamweaver, or maybe a little bit about HTML and CSS. Time to sit again, ok, now I got da space and da name, the next question is, how to design website & upload it, how? hoW? hOW? HOW? Then I focus to design website 1st, before I learn Dreamweaver, the very 1st software I used is MS Office Publisher 2003 (MSOP 2003), suitable for beginner. Both used term of WYSIWYG , is an acronym for What You See Is What You Get, make programmer life easier, compared to old method, programmer must know every codes and remember names of layout commands before make the program. Another interesting function is ‘Edit Master Pages (Ctrl+m)’, to make all have for example, same header, background or footer. You can preview your website 1st before publish, File —> Publish to the Web, here, change the extension from .htm to .html. Now, I have the Web pages, but, only I could see, I want anyone can access it, once again… how? hoW? hOW? HOW? So, domain name system (DNS) is a hierarchical naming system for computers, services, or any resource connected to the Internet or a private network . Simply, for example, like address for our home, for postmen to delivery our letter, but when they arrived, not even letter box, furthermore, there is no house also! What the point. So, we also need the ‘house’. Ok, then, this is the 1st view when I go into my ‘house’, what’s in your mind? So…what I must do now? There, I’ve seen a ‘text field’ space to check available domain name, I wrote on raz.com, not available, hmm, I wanted raz term, try to think an unique name, then raz-veinz come out, yes, available.